Look no further than Big Media for a wide range of audio visual hire. Prompt and professional, we ensure you get the very best gear for your specific needs. From company meetings to national conferences, we have the equipment to do the job. Our friendly and attentive experts set up your equipment quickly and efficiently, saving you time. You can rest assured that you benefit from the whole service with us, from top to bottom. With you at every step of the way, we offer on-going support to ensure that the day runs smoothly. With many years of experience, Big Media are your go-to systems hire of choice. Our full service is sure to meet your every need and requirement, letting you get on with your day. We serve the whole of the UK, providing free local delivery. Our fantastic rates include local delivery, set-up, and collection. This saves you extra worry and hassle, leaving you free enjoy yourself, safe in the knowledge that Big Media have it covered. With plasma screens available from as little as £32 a day, you know you're getting real value for your money with us. 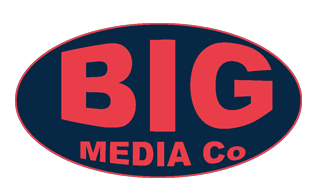 Dependable and always on time, Big Media Hire wont let you down. From projectors to exhibition displays, we have a wide range of stock available to rent out for as long as you require. By fitting in with your location choice and event type, we ensure that everything goes to plan. 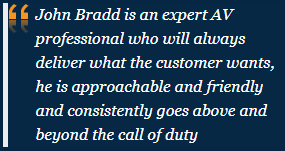 We have built an exceptional reputation throughout the UK for our excellent services.